I believe that everybody loves fabulous nails and I think they can be just as important an accessory as a great set of bangles or a statement ring. 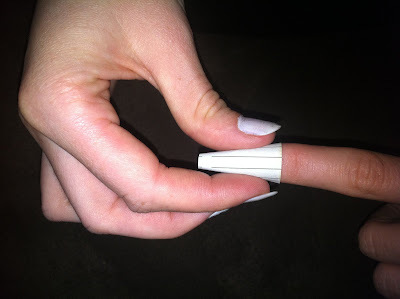 When I first stumbled across these nails at the Fancy Drifters blog I fell in L.O.V.E. Having been inspired to do DIYs over the past few months it made my find even more exciting. I tried them out for the first time this week and was really happy with the result - don't fret it's actually really easy! Next time I do them I want to put suduko numbers on each finger, and then a recipe! This time I used the horoscope section of the newspaper - you can't read it but I like that little fact regardless. 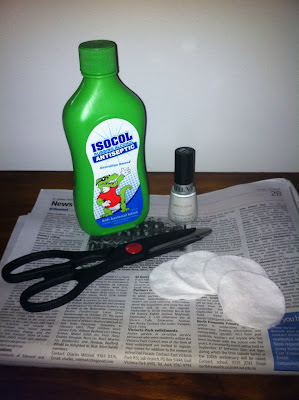 Wrap small newspaper cut out around your finger. Happy painting girls! Let me know how you go if you try it or have any ideas of what other areas of the paper to use. I'll post once I have tried suduko - I thought that might be fun. *Where do you get Rubbing Alcohol from you ask? Well I picked mine up for $9.95 at PriceLine (girls in Australia), but other readers you can find it at Chemists or local beauty stores. Anna-first of all you are soo cute! That comment you left made me laugh! Second-such a cute idea! And for a first go-it worked like a charm! never thought of it at all!!! Yayyyy! 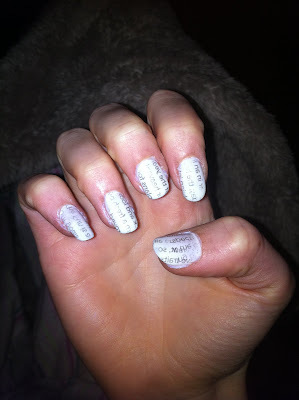 Fantastic job, your newspaper nails look awesome! I've seen this around, I really need to try it! This looks awesome! I may have to try it, let's see what my right hand looks like...LOL! I saw this on pinterest a while back...glad to see someone actually pull it off! Your nails look great I can't wait to try this. 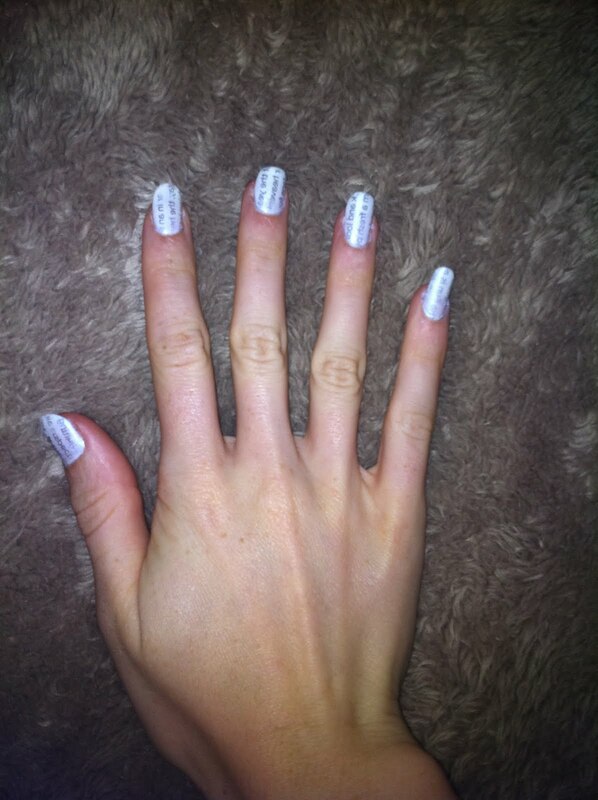 Fabulous nails... who knew newspaper could look soooo good! such a great post u have here ! This is such a fun idea! Your nails turned out great! Wow! Wonderful idea! I want to try immediatly! this is such a good idea. lovely post. How cool is that?!! Never seen this before! That was a fantastic idea! I just love how they turned out.